As online shopping becomes increasingly popular, it would seem traditional brick and mortar operations anchored down by their expensive store fronts can't truly compete -- or can they? 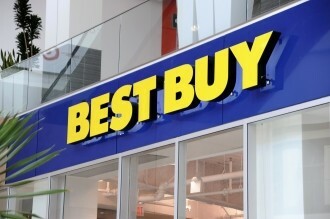 In what seems to be a daring game of commerce chicken, Best Buy says it will match Amazon's prices during the holidays. The company even plans to offer free home shipping for out of stock items. Retailers -- the "real" kind with walls, parking lots and checkout stands -- have long chided Amazon for being an insufferable operation hell-bent on undercutting local shops. Amongst Amazon's advantages are certainly its absence of retail locations (low overhead), lack of physical constraints (they have everything) and sometimes skillful evasion of local sales tax (self-explanatory). Combined, these advantages definitely give the mega e-tailer a unique edge over local competition. Best Buy hasn't been doing so hot, a fact which company execs attribute to a practice called showrooming. This phenomenon is the culmination of strong consumer interest to see products in person, but equally strong desire to pay a better price online. Companies like Amazon have made it incredibly easy, giving consumers the ability to scan barcodes with their smartphones, scour the net for better prices and leave stores empty handed. It is not clear if matching Amazon's prices will hurt Best Buy's bottom line. There also seems to be an absence of finer details, like whether or not Best Buy will just price match Amazon's warehouse items or if it will also match Amazon's third-party Marketplace vendors. No doubt there will need to be additional training to spot these kinds of differences. Would you shop at your local Best Buy if they match Amazon's prices? Personally, I can imagine the lines moving a little more slowly with all the manual overrides necessary to price match a sea of frugle customers. However, getting an item immediately, purchasing it at a competitive price and knowing you may return it without much fuss does sound pretty attractive.